It’s a busy time for the Team with the new Formula One season just around the corner and winter testing in full swing at the Circuit de Barcelona-Catalunya. The Aston Martin-Red Bull Racing-TAG Heuer RB14 isn’t the only car we’re launching, however, with Christian Horner and Adrian Newey at the Geneva International Motor Show today for the world debut of the track-only Aston Martin Valkyrie AMR Pro. 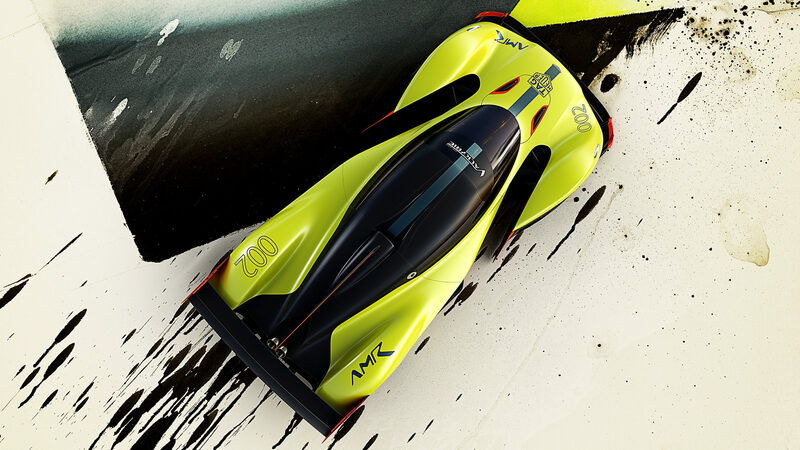 The hybrid Valkyrie is a collaborative project designed under the leadership of Adrian Newey by Red Bull Advanced Technologies and Aston Martin. 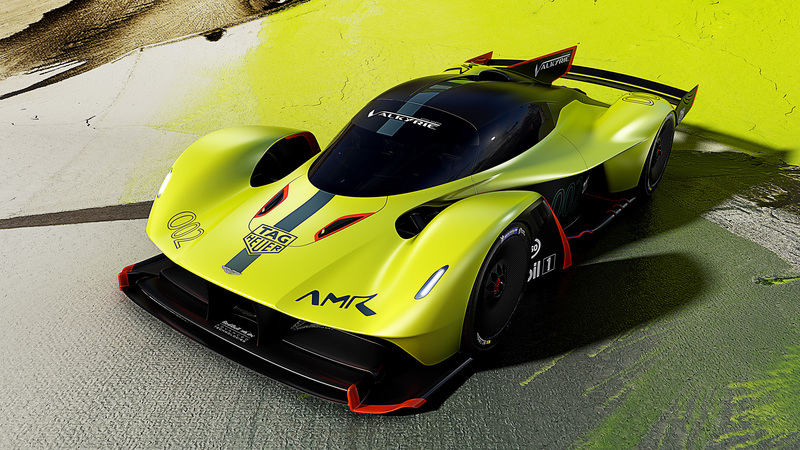 Created as a genre-defining road-legal hypercar, it already exists at the extreme edge of the performance envelope – now, evolved into track-only form as the AMR Pro, it redefines the envelope. 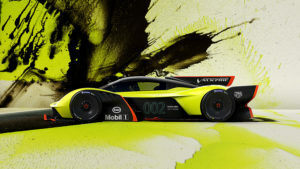 The new car was unveiled by Adrian and Christian, together with Marek Reichman, Aston Martin’s Chief Creative Officer. It formed the centerpiece of the Aston Martin stand, flanked by our show car and Aston Martin Racing’s new WEC challenger, the Vantage GTE. 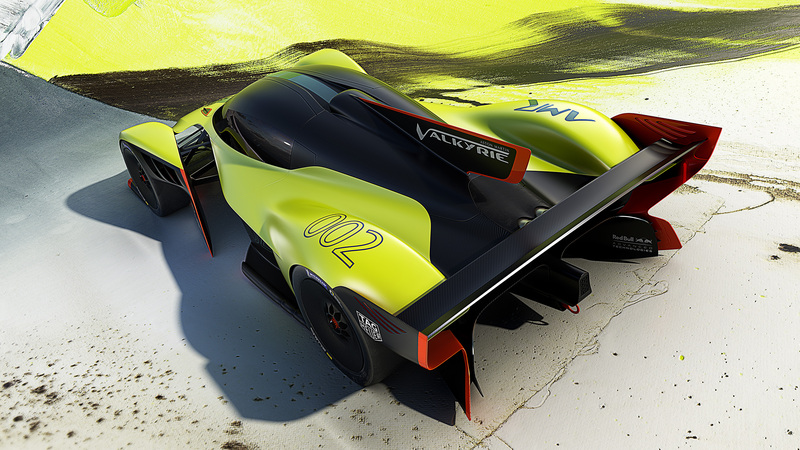 You’ll have to wait for full technical details of the Valkyrie AMR Pro but the headline figures are stunning. The hybrid V12 powertrain generates in excess of 1100hp, while the lightweight construction results in a car weighing just 1000kg. Add in F1-inspired aerodynamics and you have a model generating more than its own weight in downforce. 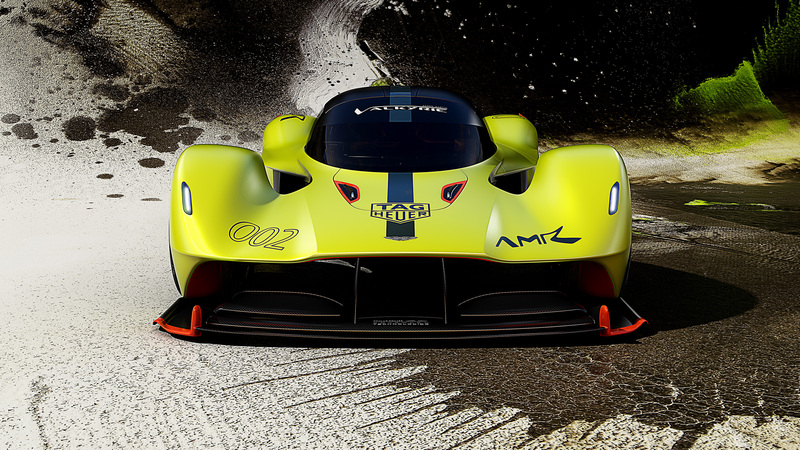 To achieve this result, all the Aston Martin Valkyrie AMR Pro’s aerodynamic surfaces have been revised in the pursuit of significantly increased downforce. 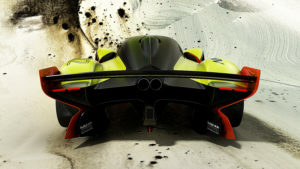 Most obvious changes are wider bodywork and much larger front and rear wing elements. These will work in concert with revised active aerodynamic control strategies tailored for the demands of track driving. In order to save weight, the car lightens its carbon fibre bodywork, and does away with road-going extravagances such as a heater and infotainment displays. It also gains a polycarbonate windscreen and side windows, carbon fibre suspension, moulded race seats and a redesigned, lighter exhaust system. In the engine bay the AMR Pro retains the hardware of its road-going sibling – but the 6.5-litre naturally-aspirated V12 engine and the ERS are re-calibrated and re-programmed to produce more power, resulting in the track-only model comfortably exceeding the magic 1:1 power-to-weight ratio. As with any track car, outright top speed isn’t a particularly useful metric – but even with the extra downforce, the AMR Pro is still capable of hitting 360km/h. The 88th Geneva Motor Show opened to the press today. For anyone wanting to take a closer look at the Valkyrie AMR Pro, the public days run from March 8th to 18th – but don’t bring the chequebook: deliveries of the car are set to commence in 2020 but just 25 will be built – and they’ve all already been sold.